Pakistani politics is hereditary nature, Pakistan's democratic system is mainly based on political families. There are few famous political families and majority of the rulers of any Pakistani government belongs to these families. Government move between families; generation after generation. Butto, Sharif, Tareen, Chaudhry, Soomro, Noon, Leghari and Zardari are famous political families of Pakistan. 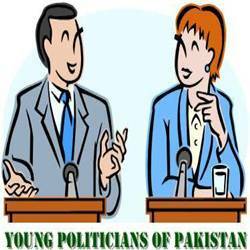 Established political families of Pakistan prepared their young generation for leadership. According to recently updated electoral rolls of Pakistan, almost half of the registered voters belongs to age group 15 to 35 years. And young voters would like to vote for young politicians. Here are Pakistan's next generation political leaders who also belongs to major political families of Pakistan. 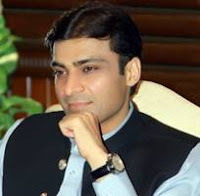 Hamza Shahbaz Sharif is son of Mian Muhammad Shahbaz Sharif. He was elected as MNA from NA-119 constituency in previous parliament. He graduated from Government College University, Lahore. He belongs to PML(N). Bilawal Bhutto Zardari is son of Asif Ali Zardari and Benazir Bhutto; and grandson of Zulfiqar Ali Bhutto. He is the youngest national level political leader of Pakistan, born in September 1988. He is graduate from Oxford University. 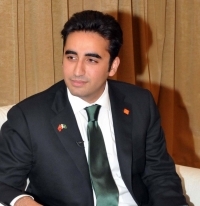 He is the Chairman and Chief Patron of Pakistan Peoples Party. Mariam Nawaz is the daughter of Mian Muhammad Nawaz Sharif and is married to Captain (R) Muhammad Safdar. She was born in October 1973. She got her master degree from Punjab University, Lahore and currently pursuing Ph.D. in Political Science from Cambridge University. She is Chairperson of Sharif Trust, Sharif Medical City and Sharif Educational Institutes. She also belongs to PML(N) and it is reported that she will participate in General Election of 2013. 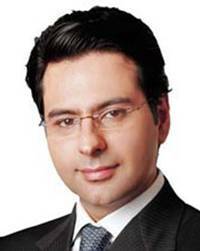 Chaudhry Moonis Elahi is the son of Chaudhry Pervez Elahi and nephew of Chaudhry Shujaat Hussain. He was born in April 1976. He graduated from Wharton Schol of Business, USA. He belongs to PML(Q) and elected as MPA from his native seat PP-110 Gujrat. 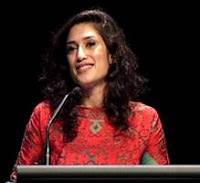 Fatima Bhutto is granddaughter of Zulfiqar Ali Bhutto, daughter of Mir Murtaza Bhutto and Fauzia Fasih-ud-Din (her mother belongs to Afghanistan). She was born in May 1982. She is a writer, columnist and poetess. She got secondary education from Karachi American School, done BA from Columbia University and MA from University of London. Currently she supports hers stepmother's party, PPP (Shaheed Bhutto) but she never run for any political position.